AETEA’s Healthcare IT Services support organizations and their ability to take on robust initiatives or maintain support of their Electronic Health Record (EHR) systems, regulatory compliance, clinical operations, data analytics, information security and core IT systems. AETEA’s experience and depth of specialized talent within the Provider space, helps our clients respond to their initiatives quicker and with heightened confidence. The healthcare industry has become one of the fastest growing industries in the global economy and includes managed care, hospitals, clinics, long term care facilities, and wellness programs. Whether it’s related to Electronic Health Records, regulatory compliance, clinical operations, data analytics, information security or core IT systems; change is rampant and costs are climbing. Globally, the cost of healthcare continues to surpass inflation, and cost containment efforts make operating a commercial venture in this sector a challenge. However, this industry holds great opportunities driven by the aging population in developed countries, increased demand for sophisticated therapies, and rapidly advancing healthcare technologies. 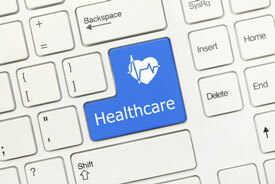 AETEA has had the opportunity to develop a number of long term relationships with organizations in the healthcare sector. Given the rapidly rising costs of healthcare, and medical research and development, technology has become even more critical in driving down costs and increasing productivity in these industries. AETEA can provide your organization with highly skilled Information Technology consultants with the applicable healthcare experience. Our consultants are familiar with these unique regulatory environments which reduces ramp up time and returns quicker ROI. We develop valuable insights into our clients’ environments and cultures and take the time to screen and build solid relationships with our consultants. Consequently, we can rapidly provide the right resources to our clients when they need it. Electronic health records (EHR) are core to healthcare providers and essential to delivering quality care and efficient reporting. 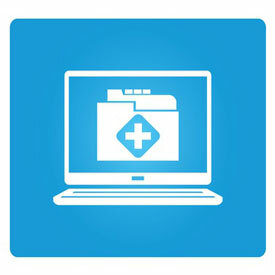 EHR systems, an enterprise-wide system, require specialized expertise and often large numbers of resources. Often, Healthcare IT teams don’t maintain the depth of these specialized resources within their full-time employ and require AETEA’s assistance to staff up to appropriate levels. Leveraging AETEA’s Healthcare IT delivery processes, we can assure that our clients have timely access to the most qualified and credentialed EHR professionals. Never before has the need been so critical to capture, process, understand and utilize the data that is available within healthcare organizations today. Healthcare reform is impacting and driving organizations; and their ability to capture and use data will play a leading role as to whether organizations succeed or struggle in this reform period. 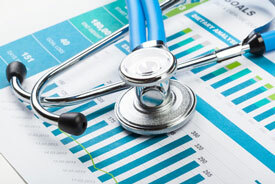 Healthcare BI is a vital focus for providers to manage costs and increase quality because it provides insight into what works and what doesn’t. Healthcare organizations are tasked and challenged with the time and financial commitment to procure the specialized skill sets that data and analytics projects require. By providing the right team with the right expertise, AETEA can help maximize our customers ROI and increase speed to productivity. Sensitive information is transmitted and processed every second of every day in our healthcare systems, and as a result, security has continued be a significant challenge for healthcare organizations. 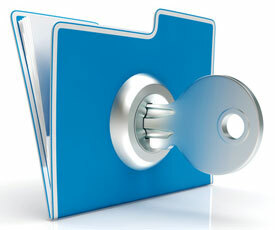 Private data is often housed on systems that may not be compliant to modern technology standards or regulations. Risk is further heightened when these systems do not effectively interoperate with other platforms such as EHR and other HIT systems. Our strong understanding of HIT, EHR, identity access management (IAM) and security regulations, makes AETEA a viable and trusted resource for healthcare organization. Leveraging AETEA’s three decades of IT staffing, healthcare organizations can be assured that we can support their entire IT enterprise. With a dedicated focus on recruitment of IT professionals from within the healthcare industries, we can provide resources that possess the technical skills needed as well as the industry and environmental experience that leading hospitals and health organizations require.